This is a rectangular Haines LeBrook Ice Cream porcelain sign. This particular Haines LeBrook sign is white with red text. 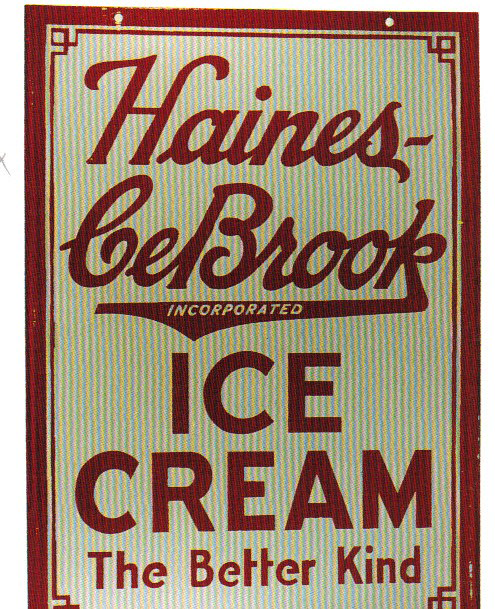 It reads, “Haines LeBrook Incorporated, Ice Cream, The Better Kind” and features a decorative red border.